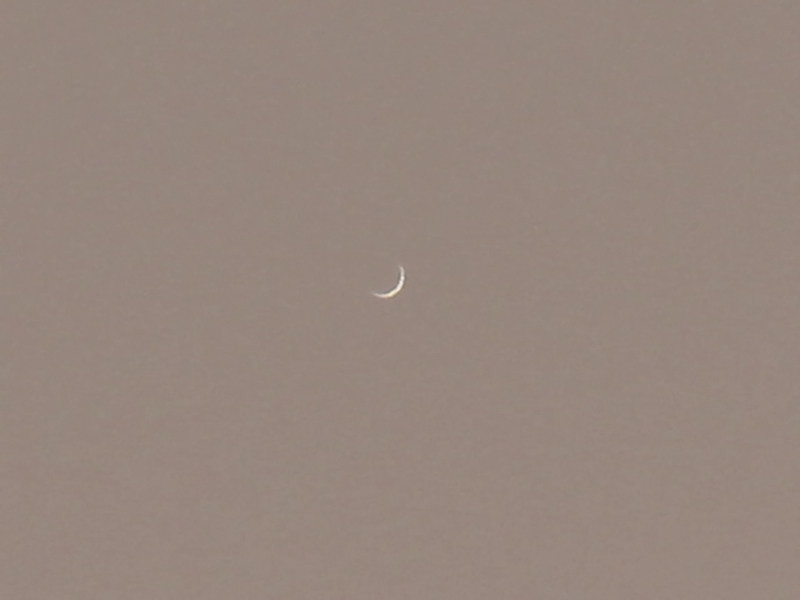 This was my first look at Venus following Tuesday’s transit. Here, it’s just six degrees west of the Sun as a thin crescent in the afternoon sky. It was a beautiful sight in the eyepiece, far enough away from the Sun to not be in its glare but close enough to still appear as a razor-thin backlit crescent. Each day now Venus is widening the gap between it and the Sun, shortly to become a brilliant morning star in the eastern sky before dawn through the rest of June, July and August. I shot these images in broad daylight through a 130mm f/6 refractor. The big image is a full-frame shot with the Canon 60Da and a 2X Barlow lens, for an effective focal length of about 1500mm. The inset is a single frame grabbed from a 30-frame-per-second movie shot with the Canon in its Movie Crop mode, which yields a high-magnification view suitable for planet shooting, but only 640 x 480 pixels. But this mode is certainly ideal for capturing planets, though none ever appear as large as Venus is here. This is an uncommon instance of Venus as close and as large as any planet gets. A wonderful sight tonight, as I caught Venus in its last days before the transit, shining as a glistening crescent low in the evening twilight. 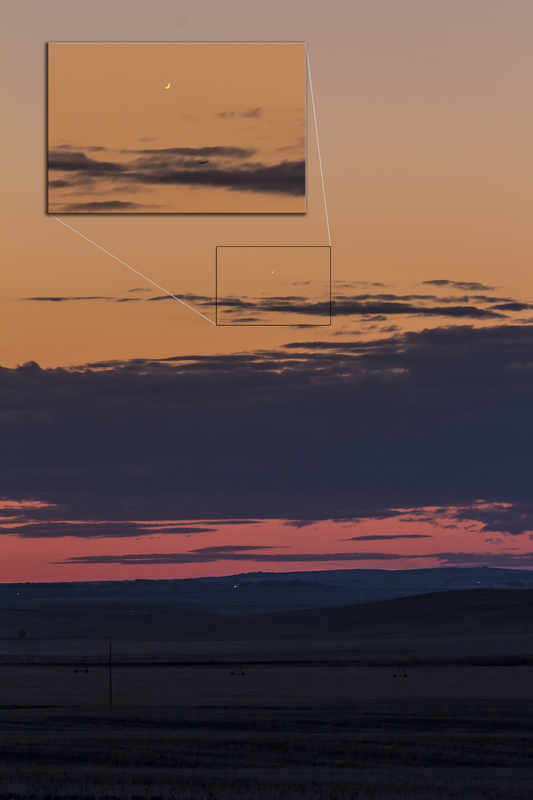 Venus was visible to the unaided eye after sunset, but not for long. It set soon after the Sun. But for a short while it put on a beautiful show as a large crescent (large for a planet that is), easily resolvable in binoculars and stunning in a small telescope. 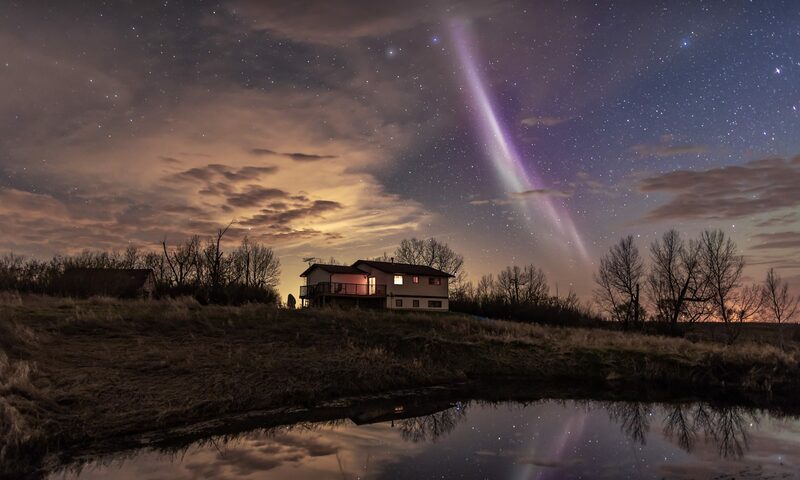 One could almost make out, for brief moments, the sight of the backlit atmosphere going all the way around the disk. But I suspect it was more imagination at work than reality shining through. 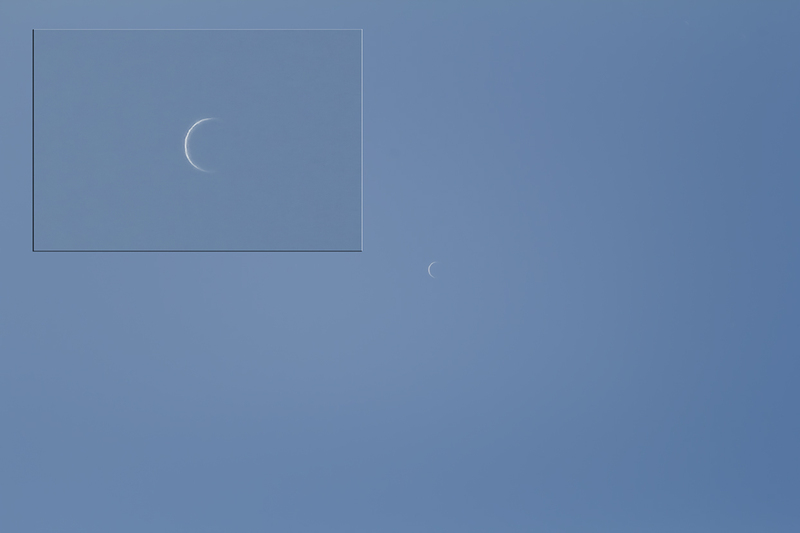 The inset blows up the boxed area, to reveal the crescent-phased disk of Venus, despite this shot being taken with no more than a 200mm telephoto lens. I used a Canon 60Da camera at ISO 100. A plane is flying just below Venus. So this was May 30, 6 days before the June 5 transit, with Venus 9.5° east of the Sun. How far up to the Sun can we catch it, before it crosses the Sun on Tuesday? Here’s a last look at Venus before its historic transit across the face of the Sun on June 5. I took this Monday evening, May 28, with the Sun still up and Venus about 13 degrees east of the Sun but low in my evening sky. 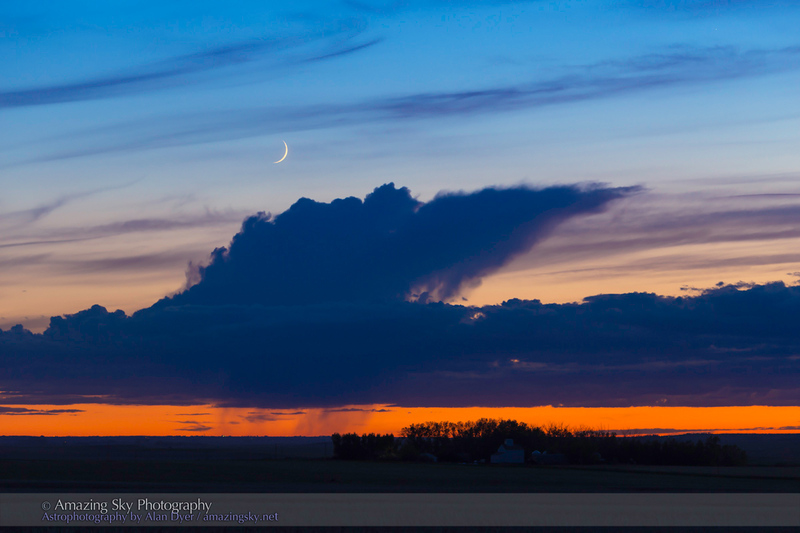 Venus appears as a razor-thin crescent, like a tiny “new Moon.” Most of the daylight side of Venus now faces away from us; on the side of Venus turned toward us now all but a sliver of a crescent is dark — we’re looking at the night side of Venus. On June 5, all we will see is this dark side of Venus, appearing in silhouette in front of the Sun’s brilliant disk as Venus moves across the Sun in a transit not to be repeated for another 105 years. This is a single still-frame grab from a movie shot I shot with the Canon 60Da camera, set in Movie Crop Mode, for a movie 640 x 480 pixels wide. This mode magnified Venus considerably on the frame. I shot this through a small 80mm apo refractor at its f/6 prime focus, so with only 480mm of focal length. But Venus is now so large it doesn’t take a lot of extra magnification to show its disk and phase. The view through the eyepiece was stunning. The rippling image and sparkling colours, though from distortion in our atmosphere, added to the beauty of Venus, fitting for the goddess of love.